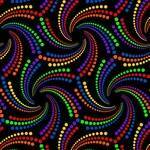 Black light carpeting is an exciting new trend in fun floor coverings! Make your floors come to life with Fiesta black light carpet! Fiesta black light carpet is made with specialized yarns that glow in the dark when exposed to black lights. 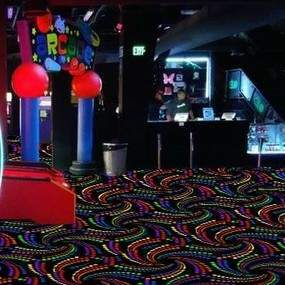 This fluorescent carpet is perfect for Game Rooms, Arcades, Bowling Alleys, Skating Rinks, Restaurants, Cinemas, Movie Rooms, Teen Rooms, Lazer Tag, Night Clubs, & more! Our black light carpet is built to last! Fiesta Glow in the Dark Carpet made of 100% Fluorescent Solution Dyed Carpet. It is constructed with specialized yarns that glow when exposed to black lights. Cuts are not available is less than 50'.